Humans have a love for elephants, and many of us would like to be very close to them. What you need to take into consideration is at what cost to the elephant (or any other wild animal in captivity) does such closeness cause? And what benefit does it bring to the elephant? If none, the interaction is probably not in their best interest. There is no way to have animals in a circus ethically, and there are other options, such as Cirque du Soleil, that allow for the feel of amazement a circus performer can bring, without any harm to animals. You will never get any sort of real experience with an elephant that way. You will spend several moments on the back of an animal that is exhausted, somewhat malnourished, possibly stolen from the wild, and lives a deprived, chained life in captivity. An experience that is a moment of excitement for you means a lifetime of misery for that animal. It’s not just about the seat used for the ride, it’s about the treatment that allows for a complete stranger, time after time, to hop up on their back. (including temperature), that gives them space, stimulation, and companionship from other elephants. When you see an elephant alone in an exhibit, they are having their most basic need, the need to be part of a herd, taken away from them. There are trainers that say their elephants are “people elephants”, but these elephants have no other option, so they bond with their caregiver. They do indeed care for their keeper, but when given the companionship of another elephant they get along with, that becomes their primary relationship. There are many elephants that genuinely like people, but nothing can replace being with a member of the same species, one who communicates as they do. Make sure the location of the zoo allows for their elephants to be outside at least 75% of the year. Even the littlest piece of ivory means an elephant was killed to get it. The US is the second largest market for ivory, and these pretty little trinkets are causing the demise of our wild elephant population. 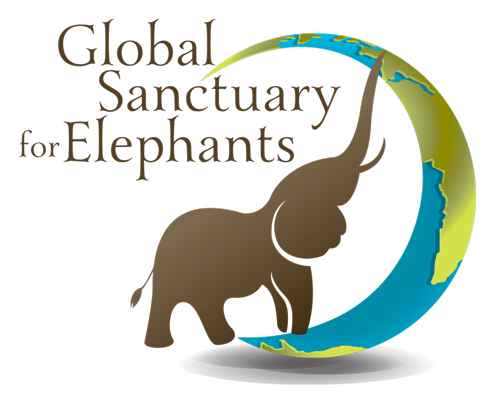 Only visit a sanctuary or refuge that allows small groups of visitors that observe from a distance. Do your homework to ensure it is a truly good place for elephants. You should not see any bullhooks or sticks used as ‘guides’. The elephants should look healthy, no open wounds, no injuries, they should not look skinny; all of these things indicate hidden practices that go on when the public is not around. They should have free, uncontrolled access to open spaces. The beauty of elephants is who they truly are when they are allowed to simply be elephants. 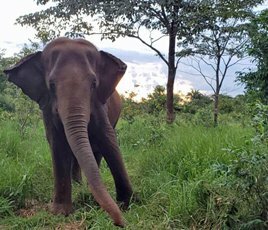 You should be able to witness, from a distance, everyday behaviors that may not seem very exciting, but if you watch closely you’ll soon be mesmerized by the nature and passivity of an elephant’s life. Elephants dusting, swimming, natural grazing, sleeping, socializing with other elephants, all of those very basic things that are essential to an elephant’s well-being. regarding elephants, traveling shows with animals, bullhooks and other bills that provide additional rights for animals. What benefits one, benefits all. Talk about the reality of a captive elephant’s life, share an individual elephant’s story-both the early struggles and beautiful healing journey, write a paper on the impact of poaching on African elephants, design a piece of artwork displaying the beauty of the species or the sadness of the loss of their freedom. Most people don’t realize the effect humans have had on an elephant’s world, and if everyone were to educate one other person, imagine the impact that could have. We, as humans, are responsible for animals being in these captive situations and their disappearance from the wild. We owe them to do something about it. Every little bit helps.